A new training curriculum! RSP&A has partnered with QAI to develop a comprehensive Internet-based software engineering curriculum. Matt Sousa, a young archaeologist with an unusual background, believes that the past influences the future. Matt finds a very strange object in the foothills of the Andes mountains. RJ Fanler, the deposed founder of a major computer company, believes that the personal computer can morph into something different. His new challenge is figuring out just how the transformation will happen. The Aymara Bridge tells the story of a young archaeologist who discovers an object buried at an Inca temple at the border of Bolivia and Peru. Although it has been found at an ancient site, the object contains an enigmatic digital message that holds the secret to a revolutionary new computing technology. The idea for this novel came from a student in one of my Software Engineering short-courses. He showed me an article on the unique properties of the Aymara language. I saved his article for almost 10 years, waiting for a time when my life slowed enough to allow me to do some recreational writing. The Aymara Bridge is the result. 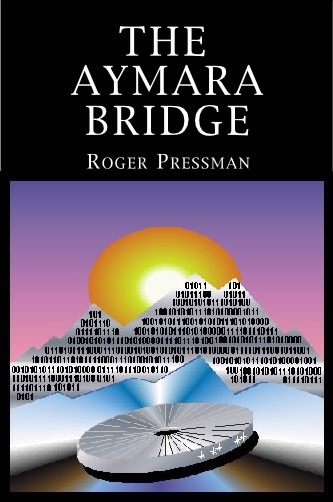 We've included a few sample chapters from The Aymara Bridge for your reading pleasure. If you enjoy the sample chapters and would like to order the book (available in trade paperback or in e-Book format), please click here. The Aymara Bridge may also be ordered direct from Amazon.com. Site search! We've added links to a search engine that will enable you to search our entire site for information you need. Enter the appropriate word or phrase below.